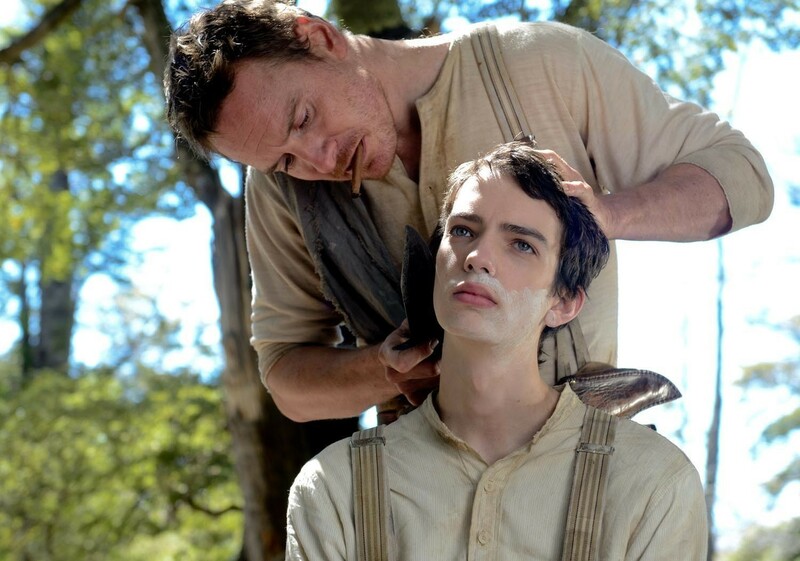 Slow West is far more electric, and fleeting experience than it’s title might suggest. Accumulating bodies at the rate of a Tarantino movie, and hurtling towards a dramatic shootout with agility and wit, this is tense and artful cinema. The film opens with Michael Fassbender’s distinctive voice declaring that this is Jay Cavendish’ story (Kodi Smit-McPhee), a romantic young Scotsman who is undertaking a pilgrimage across Colorado to rescue his love Rose (a stoic and bewitching Caren Pistorius who proves more than capable of rescuing herself). 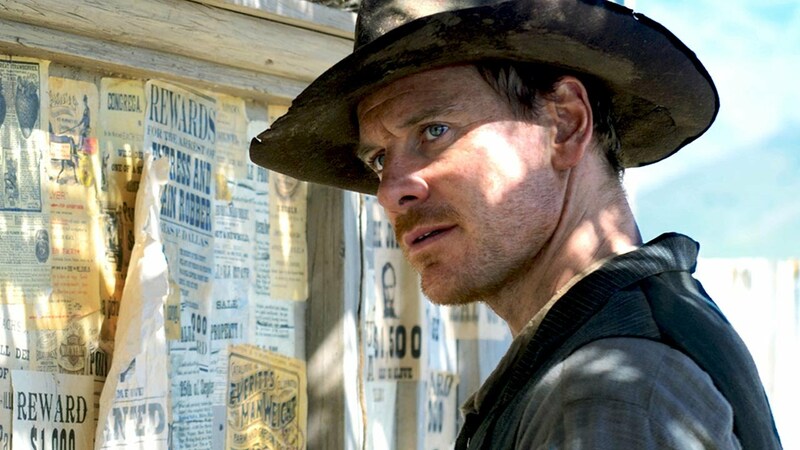 In the first leg of his journey, after a near-fatal rendezvous with some soldiers, he happens upon Silas Selleck (Fassbender), a cynical outlaw who takes Jay under his ruthless wing and promises him safe passage out West; though his own reasons for traveling across the perilous frontier become increasingly sinister. Indeed, we are soon informed in dramatic irony that Rose and the father with whom she escaped her native Scotland with have bounties on their heads, and that Silas has offered his protection to Jay only to reach them first – surpassing the troop of bounty hunters also on their tail. 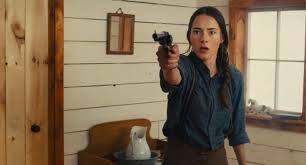 First time director John Maclean conjures up a smorgasbord of villains for Jay and Silas to confront, cultivating a mood of unwarranted jeopardy and injustice at every turn; most pointedly when a desperate Swedish couple whose heist-gone-wrong is just one of the many ways to die in the West. Accumulating bodies at the rate of a Tarantino movie, and hurtling towards a dramatic shootout with agility and wit, this is tense and artful cinema. There are elements of Wes Anderson in the off-kilter storytelling, with outbursts of violence at once alarming and almost comical (an injured man gets salt in his wound and a dead one is forced to de-trouser in a bid for another’s survival). The encounters are increasingly ephemeral and Machiavellian, like something borne out of a feverish dream. No one – even under Fassbender’s watchful eye – is safe in this neck of the woods. 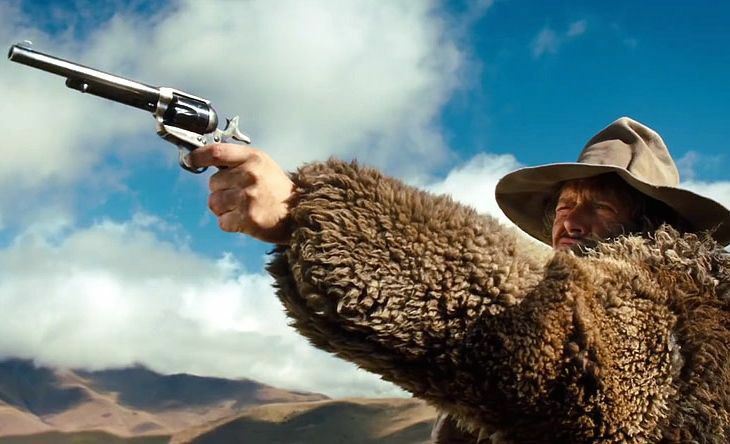 One such bandit takes the form of Ben Mendelsohn’s fur-coat wearing, absinthe-drinking maverick, expanding on his colourful repertoire of madmen (see Animal Kingdom, Killing Them Softly and Starred Up). Picaresque, immaculate scenery provide the backdrop for the brutal lessons in survival that Jay must learn. Cinematographer Robbie Ryan (Philomena, Catch Me Daddy – and The Karman Line, a breath-taking short film which you can see here) captures the heightened, glimmering terrain with a startling clarity. His compositions feel fresh and vivid, saturated with fluorescent colours and crisp juxtapositions. It may subtract from the film’s authenticity, but here it works, reflecting the illusory nature of the Manifest Destiny upon which Westward Expansion was justified and echoing Jay’s own misguided idealism. The companionship between Jay and Silas is touching but never maudlin – a highlight of which is their inventive way to dry off their clothes after a flood. Whether through guilt or a paternal sense of obligation, Silas feels compelled to protect for his teenage ward; a sentiment never more apparent than when he enlightens Jay about the art of shaving. (An act still laced with menace thanks to the presence of a machete). Fassbender’s steely, unnerving Silas confirms his status as one of the most diverse, and masculine actors to have graced our screens. Meanwhile, Australian actor McPhee (doing a credible Scottish accent) gives his best performance since The Road. His Jay is determined yet naïve; a boy in a man’s world and a romantic unsuited to the harsh wilderness. Tonally the film is quite jarring, but no less brilliant for it. It’s a melting pot of influences just as America is of cultures; with it’s blending of biting witticism, lyrical romanticism and visceral bloodshed particularly reminiscent of the Coen brothers’ Fargo. Mixing native chants with plucky strings, the elegiac and playful scoring from Jed Kurzel also lends the film an air of contemporary quirkiness. Still, for a genre so iconographic and plagued by convention, Maclean has created something that riffs, but never rips, off its predecessors and remains outstandingly original. 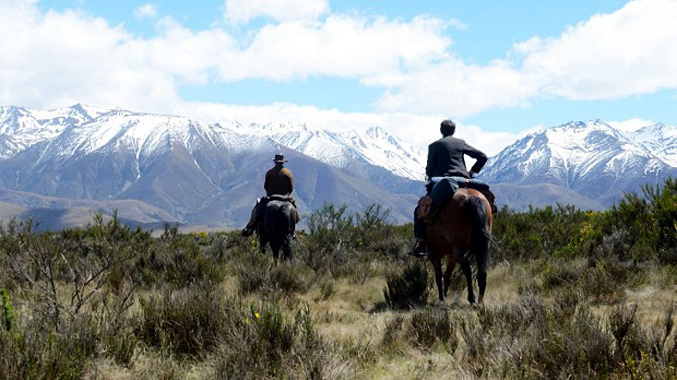 Slow West is a film of considerable artistry – both aesthetically and narratively – and certainly one of the best to have come out this year. Verdict: Striking, surreal and spiky, a Western unlike anything you’ve ever seen.